As far as trends go, Microsoft is losing breath trying to catch up to the others it competes. However, it is catching up nonetheless. With rapid updates to its software in Office 365, Microsoft has proven itself quite a worthy adversary in the market. Though moving forward fast, we must keep in mind that SharePoint is not exactly the easiest for organizations to migrate towards. SharePoint is not what it was a decade ago and has drastically changed its form since. 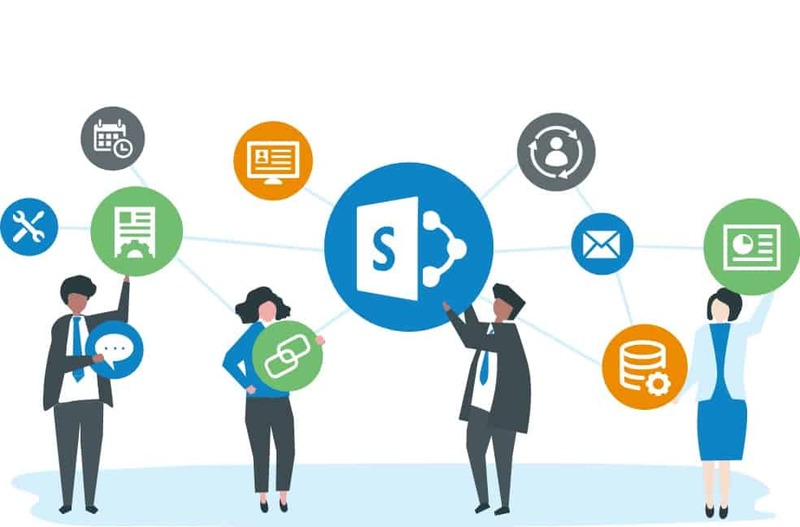 Just the idea of updating or migrating towards SharePoint is baffling to most organizations, but the sheer difficulty of the process should not distract organizations from the ease and convenience provided by SharePoint. The fear of something new should never hold back organizations from moving forward. However, merely rolling out all that Office 365 has to can be a little daunting for most. Microsoft is rolling out updates as though it has a production line rolling out products on a conveyor belt. That brings us to the question, what are organizations doing to roll out their use of Office 365 through and through? The speed of Microsoft’s updates can create difficulties for organizations to roll out their own. Often, an organization may release a product with specific features that may or may not even exist in the latest update of Office 365. Organization tackles this problem by rolling out a few things to see how the work, and then reassess where they stand. When you provide simple how-to guides to your users, such as when to use a particular application, a lot of their confusion will melt away. A simple guide that tells users what an application is when it should be used and when it should not be used should do the trick. As far as software deployment is concerned, training happens to be the most neglected aspect of all operations. It’s also where organizations tend to save their buck. However, more affordable options can be explored. Following are a few. Gone are the days of manually inputting user information. These days, organizations are reliant on programs that provide such information automatically. Microsoft has gone out of its way to ensure that its People feature is the center of all its softwares, especially for Office 365 and in turn for SharePoint development. All people want these days is user information, and that is the most vital cog that ensures user engagement. The relationship that you have with your end users is essential and one that you should continue to maintain. Don’t refrain from holding face-to-face meetings with individual groups as you deploy Office 365. This helps ensure that the deployment has smoothly happened with absolutely zero hiccups. One sure fire way to ensure you are on top of your game is to keep updated with all the new updates that Microsoft keeps rolling out and do not underestimate the importance of early planning, communication and user engagement within your organization.